Heading Take a bite out of life. Directions 1. Rinse the EZO cushion a few seconds in warm water to soften it. 2. Hold dentures with teeth down and back part up. Center EZO cushion on dentures and press into groove. If necessary, trim EZO with scissors to fit denture. 3. Place dentures in mouth and bite firmly. Hold for about 2 minutes. You will feel the cushion conform to your gums. Satisfaction guaranteed. To clean: Lift cushion from denture, rinse in cold water, then rinse in warm water, return to denture. Repeat above step 3 after each cleaning. Uses Temporary aid to hold loose dentures. When dentures are new, they grip with a natural vacuum. Over time, gums can recede and dentures slip. 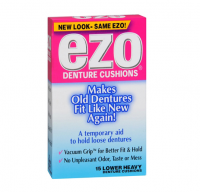 EZO denture cushions help recreate the natural vacuum that keeps dentures in place. 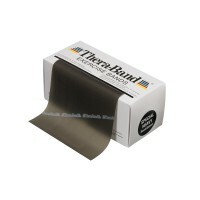 No odor, no taste, no mess, custom fit, better hold. Warnings When using this product: Use not to exceed 6 weeks duration. For temporary use until a dentist can be seen. EZO Cushions should be changed daily. Use only 1 cushion at a time on each denture. 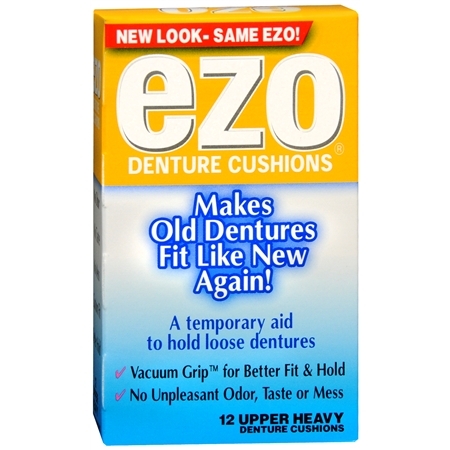 EZO cushions should be used only with full upper dentures. Consult your dentist: Use of ill-fitting dentures may seriously impair health, causing permanent bone loss and irritation.